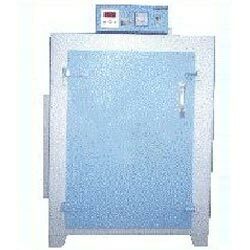 Laboratory Oven solutions offered find application in regular heating applications that are conducted in laboratories. As a leading name in the field of offering standard and customized laboratory ovens, here, we are successfully meeting the demands of scientists, Educational Institutes, R & D Laboratories, Research Laboratories, Defence Installations as well as of specialized research applications. For delivering superior end performance, these ovens are designed as three walled heating units with outer body constructed of thick PCRC sheets that come pre-treated with primer, rust proofing & painted with lasting stove enamel/powder coating. 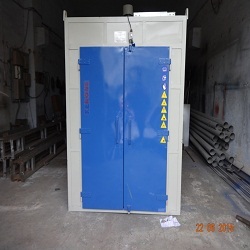 , inner chamber featuring use of heavy gauge SS 304 grade stainless steel and the gap in wall filled with high grade mineral glass wool so as to achieve maximum thermal efficiency in Bacteriological Incubator. With unit coming fixed upon robust steel frame, it comes with castor wheel attached to frame which allows for easy movement of unit inside the laboratory. Laboratory Oven Air Draft solutions offered find application in areas requiring regular heating, drying as well as moisture removal of samples that are used in laboratories. 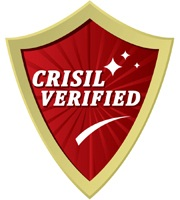 As leading suppliers of standard as well as customized laboratory ovens, we are successfully meeting the specialized process needs of scientists, Defence Installation, Research Laboratories, Educational Institutes and R & D Laboratories who are engaged in specialized research applications. With the system designed as three walled heating unit, for heating purposes it features air heaters made of Kanthal A-1 wires of suitable wattage that provides indirect heating from three sides with warm air evenly distributed within chamber via forced air draft from bottom to top. 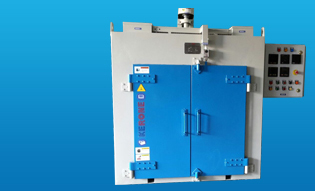 Further, the temperature range of these standard Laboratory Ovens comprise from 50Â°C above normal to 250Â°C with provision of modification so as to suit the specialized requirement of individual customers. For superior temperature control, Hydraulic type German thermostat (sensitivity Â± 1Â°C) or microprocessor is used so as to maintain temperatures inside incubator based on temperature controller and indicators. 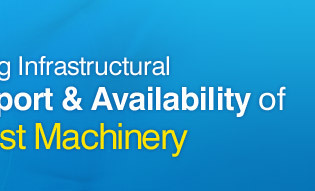 Industrial Ovens solution offered comprise standard as well as custom thermal processing systems that can be made available in different configurations and can also be upgraded and configured using latest technology support as per the specific work process requirements of the customers. The different range of ovens that are being made available include Electric stoves, Microwave ovens, Electric range ovens as well as Microwave heating elements. These precision functioning industrial ovens and heating are developed for temperatures as high as 400°C with large working chambers so as to match up to the demands of extreme distribution. 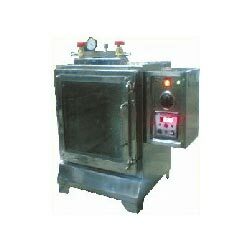 Some of the end areas where these industrial ovens are used in include Paint baking, Plastic granules, Drying chemicals & powder, Varnish baking, Electrode drying, Annealing, Teflon coating, Core hardening, Pre-heating and other applications. For providing durable construction quality, these Industrial Ovens feature use of heavy angle frame structure that is covered with M.S sheet welded joints and provided with minimum of 10 mm glass wool insulation so as to match up with the working specification demands of the customers. Vacuum oven solutions offered comprise both standard as well as custom built options that are designed for temperature controlled heating and drying applications requiring airless environment. These can also be effectively used in variety of laboratory experiments as the system has ability to hold high level of vacuum. 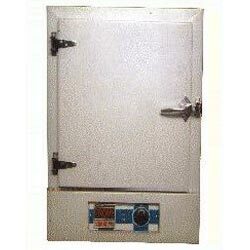 With the ovens mostly finding usage in annealing as well as cleaning evaporation of samples, these comprise of stainless steel construction with provision of observation window, gasket doors with tough latch, easily read-able vacuum gauge, two valves for bleeding and adjustable thermostat with digital read out so as to provide for efficient performance. 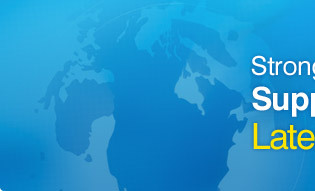 Some end applications these can be used in include for degassing samples, for contamination free storage devices, for ageing studies, for heating and drying applications when oxidation is an issue, fir equipment / tool drying, for moisture determination as well as for dry content analysis. Comprising construction of stainless steel chamber, these are made available in different working capacities.